I had an interesting conversation with someone last week and they asked if I’d ever felt the endorphin high when I jog. “What’s it like?” he said. This sweet guy had felt great after a soccer game but wasn’t sure he’d felt the endorphin high after jogging…he didn’t think so. I promised him I would send him an email before and after my jog. JOY and HAPPINESS – I’m literally giggling to myself I feel so happy. GRATEFUL – I’m full of gratitude and appreciation for my life and all the people in it. ENERGIZED – Tons of energy right now; I’m vibrating. LOVE – I feel like I am all love…I know that sounds corny and I probably sound like some woo-woo chick from the sixties, but I don’t really care. I feel full of love, loving, loved, loveable, lovelovelove –it’s a beautiful thing! FOCUSED – I know what I have to do today and for the rest of the week. I am very clear on my intentions for some challenges ahead. ALIVE – I feel like I can sense every cell in my body…every thought, feeling, emotion and intention. It’s pure, raw energy! So I think that’s it…if I had to describe it, that’s the best I can do in the state that I’m in…. This is the pure, raw endorphinated Tina. It didn’t matter, when I started to ‘come down’ I felt calm and at peace and I knew I spoke from a true, authentic place. It’s a beautiful way to live. 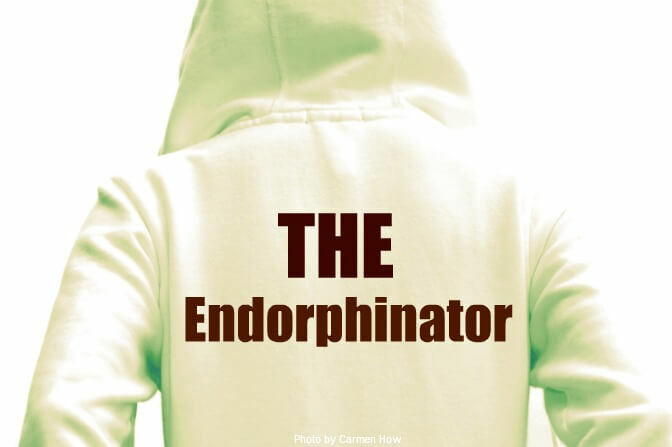 THIS IS WHY I JOG, TO BECOME THE ENDORPHINATOR! Have an awesome, fun, silly, happy weekend and I’ll see you on Tuesday! Don’t forget about LadySport and their amazing SALE. Take advantage of all their great stuff at unbelievable prices! Jody from Leapfit is having a promotion as well. 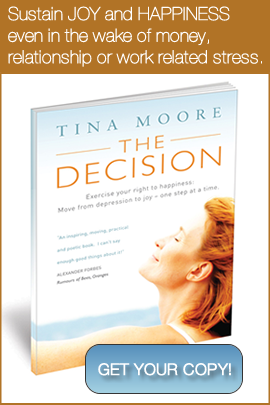 She has a FANTASTIC 3 Month Fall Exercise Program to help you get from where you are to where you want to be! Jody is great because she truly cares about you and your wellbeing. She also has a wealth of knowledge. Contact Jody at Leapfit today so you can be the ENDORPHINATOR too! Benita from Ocean Wellness has been such a BLESSING. If you are in pain due to being out of alignment (or maybe you have headaches etc) I highly recommend her. She has been a LIFESAVER for me with the long jogs and the additional stress on my body from moving.